Provide comfort for the family of C. Scott Hicks with a meaningful gesture of sympathy. 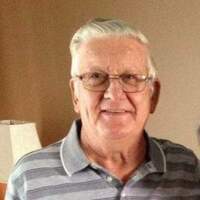 Passed away peacefully at the James Paton Memorial Heath Care Center on March 11th 2019 C. Scott Hicks age 79. Predeceased by son David , parents Uriel and Fannie Hicks , sister Winnie Mouland. Resting at Salvation Army Church, Horwood with visitation Wednesday and Thursday 2-4 pm and 7-9 pm. Funeral service Friday March 15th at 2 pm. Interment United Church Cemetery , Horwood. In lieu of flowers donations can be made in Scott's memory to the United Church Cemetery Fund. To plant a memorial tree in honor of C. Scott Hicks, please visit our Heartfelt Sympathies Store. We encourage you to share your most beloved memories of C. Scott here, so that the family and other loved ones can always see it. You can upload cherished photographs, or share your favorite stories, and can even comment on those shared by others. To Ivy & family. So sorry to hear about the passing of Scott. Sending deepest condolences to you all. Barry & Diane Budden Lewisporte. Many found memories of Scott. The best bus driver ever. He made sure we arrived to and from school safely and on time during the stormy winter days. My thoughts and prayers are with you all.